I’m excited to introduce you all to Luella & June’s newest sponsor: Accessory Scout Auctions. 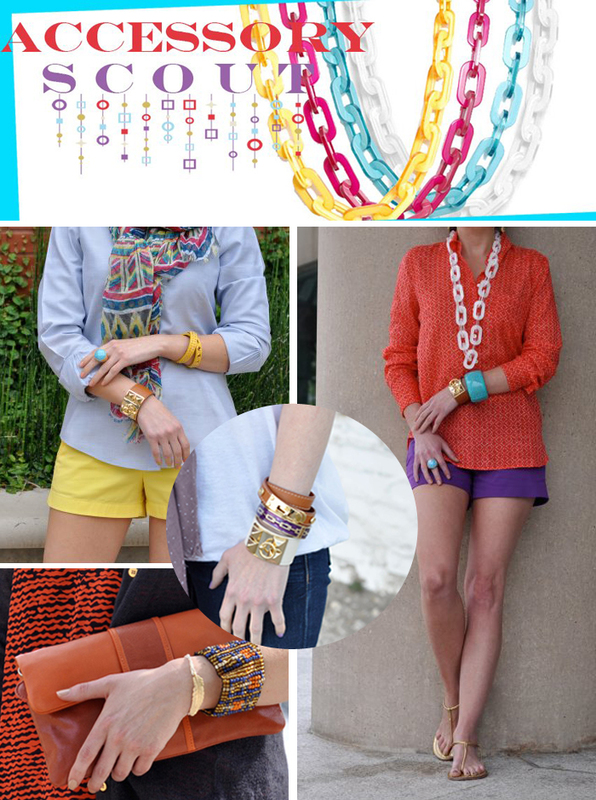 Started by Dallas native Julie Seger, Accessory Scout is a new – and affordable! – way to shop for accessories. They scout out the best in accessories – scarves, statement bangles, lucite necklaces, you name it! – and then offer them via fixed-price flash sales every Sunday night at 8 PM (CST) on their Facebook page. To buy an item, all you have to do is comment “SOLD” on the photo of that item along with your PayPal e-mail address. You’ll receive a a PayPal invoice within 24 hours. Simple as that. Not only do they offer a well-edited selection of accessories, but the prices can’t be beat. Did I mention it’s free shipping too? Add Accessory Scout to your Sunday night to-do list. You won’t want to miss out! What a great idea! I am always on the hunt for cute accessories. I will have to check out their Facebook page! Great sponsor! This is such a great idea! Definitely going to check it out! !